A Stunning Wooden Watch Box. 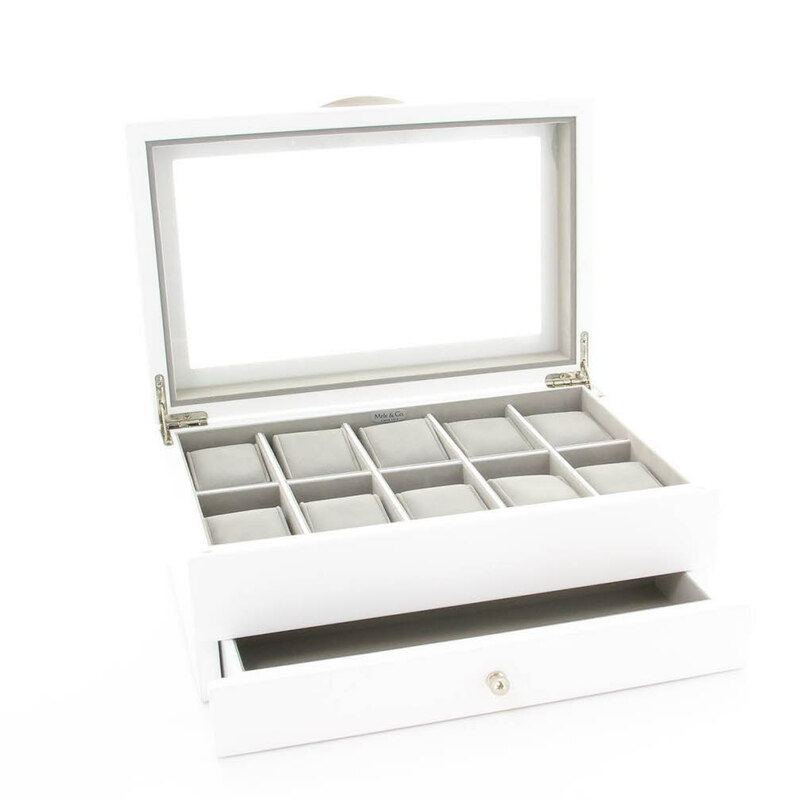 This beautiful white watch box by Mele & Co. measures 30 x 20 x 13cms and has space for 10 watches (including watch holders) and a drawer compartment at the bottom for additional jewellery, cufflinks etc. The watch box comes with an engraved plate that you can personalise with any text that you require that is affixed to the outside of the box. Please detail your requirements by clicking on the Customise button and entering the text that you would like. This makes an amazing keepsake and unique present for Anniversaries, Special Birthdays, Christmas, Fathers Day...it's endless!